Today’s a big day! Today, SafeTeens is joining with youth health advocates from across the state and the nation at Temple University’s third annual Adolescent Sexual Health Conference. Today, we premier SafeTeens Answers!, the most significant development in Maternal and Family Health Services‘s thirteen-year-old SafeTeens Project since the website and phone hotline’s launch in 2002. With SafeTeens Answers!, Pennsylvania teens, for the first time, can consult real, live health educators 24/7 — all over text. Our health educators (or “sexperts,” as we like to call them) are trained on a wide array of reproductive health topics, including anatomy, relationships, contraception and STDs. Can you get rid of an STD? What birth control method is the most effective? 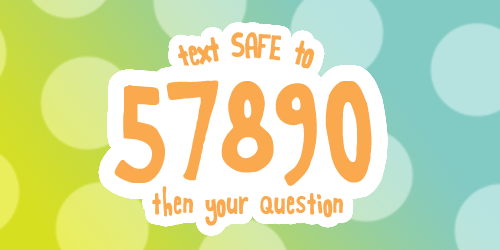 To ask a question, first text the keyword “SAFE” to 57890. Once opted in, ask a question anytime. A real, live health educator will respond within a few hours — or within 24 to 48 hours, if it’s a real head-scrater. Why text? Today’s teens text upwards of sixty times per day. Grounding SafeTeens Answers! in a technology teens use all day (every day) ensures teens can access safe, reliable answers when they need them most. Join us in welcoming the more personal, engaging SafeTeens experience by texting SAFE to 57890!